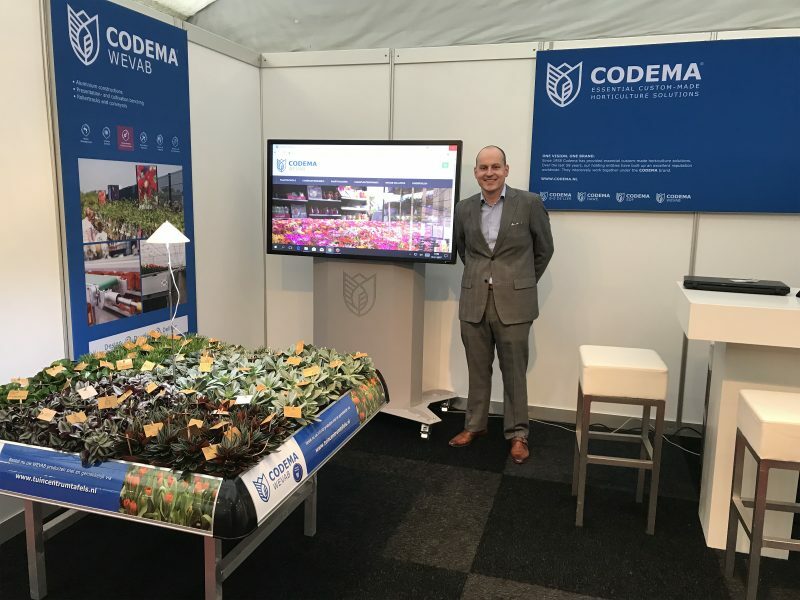 Today, Codema WEVAB will launch their new webshop; www.tuincentrumtafels.nl, at GRS Beurs in Boskoop. With the new online webshop, customers are not only informed about the complete range of WEVAB products, but they also get inspired. The entire ranges of Codema WEVAB products are now easy to order 24 hours a day, 7 days a week. In addition, the latest news and latest developments of Codema WEVAB are available online. Times are changing, and retail is as dynamic as any other branch. With every new development, we put our client at the heart of the design. In addition, to the specific product descriptions at www.tuincentrumtafels.nl , useful advice is provided to support customers in promoting product sales and maximizing returns from available square meters. The webshop is also user friendly as it is easy accessible on different devises such as tablets and smartphones.